Who is not enjoying the Airtel 0.0kb Unlimited tweak? Many messages have been coming to my mail saying that, airtel free browsing is not connecting while some said it is conneting but too slow like snail. Some say sometimes it disconnect it self without being stopped by the user. Are you among those not enjoying this latest cheat on Airtel Network, you need not to worry again because, am out with two active solutions that can browse so fast if yours is too slow and also connect yours if not connecting at all. Boosting the speed of your airtel free browsing requires the below simplified steps. So to be successful, apply the settings accurately. 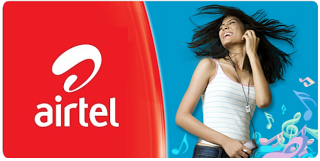 ◾ Firstly, A strong signal for Airtel 3G network is highly needed, so enable your Android to 3G. ◾ Check if your app killers or battery savers are the ones stopping your Psiphon App in the background, if they are, you can uninstall. ◾ Always, force-close your VPN app like Psiphon whenever it's not connecting and launch it again. ◾ Finally, if your connection is not stable, then switch OFF and ON the Android device data connection again or you go by rebooting your device. ◾ Go back now to the main page of the Psiphon and tap the start button below, just wait for some seconds for it to Connect. Then open your opera mini or any browser and feel the speed. In this step you will have to select from the list of IP and ports I have provided below and with these IPs it will make your VPN app to be stable thereby solving the issue of frequent disconnection when browsing with your Airtel 0.0kb tweak. ◾ Now on host address, input any of the IP below; also in Port, use the corresponding port. After doing the above steps you then connect your VPN. but even as that, keep visiting Techbmc for new and fresh IPs. First to visit, first to serve.